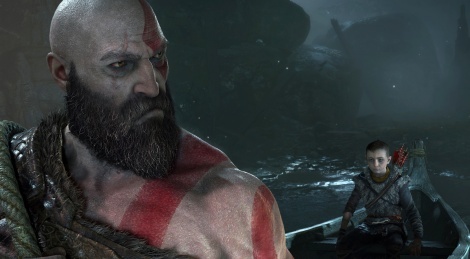 Sony showcased new footage of God of War and announced Kratos will return in ealry 2018 on PS4. Get inside for the high quality gameplay trailer and screenshots. It's coming, check the homepage. 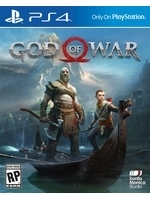 I saw in a interview with Cory Barlog that the footage from the trailer are from a OG PS4. Maybe that's why is on 1080p. In another interview the producers of Spider Man, Days Gone and Uncharted said that the gameplay was running on PS4 Pro. So these games are sure to have videos in 4K. All games have to support the PS4 Pro since like last October. Of course a Sony 1st party game will support it in 2018 lol. Probably not native 4k, but they'll be using checkboarding I'm sure. I was wondering if they'd reference Kratos' past with the story and it looks like that's definitely what is happening. I'm super hyped about this one. They have to support it == game has to work on PS4 Pro. It's up to the developer how they utilize this additional power. I mean.. its a Sony first party game. Looks good, want that on my PC in native 4K :-)! !